A poem written in threes over four. Welp, here we have another outstanding record by a band, really just Toby and Mia, who refuse to compromise musical integrity. I must say that it is truly astounding how remarkable a creation this group continues to put forth record after record. I can not think of another band that has continuously strung together such a set of albums to listen to in awe. There is little in common with the previous record but still so much in common as to the style that is Kayo Dot. While the wandering has been somewhat concised, one still feels as if floating in the wind and directed purely by the harmonies of the band. I really can not say enough about the title track, which has quickly become one of my favorite recorded moments, with such passion, emotion, and feeling encapsulated in such a minuscule amount of time and space. What makes this even more remarkable is the doom to be found in the middle of the second track, which is one of the best sequences of chords these ears have heard, expounding the listener to cast out any other thoughts and focus solely on the message at hand. We are truly embraced and surrounded by the music at hand. Few albums will startle us as much as the passages found in Clelia Walking, rendering a quality that is eternal and majestic as this. Perhaps what makes this album most special is the longevity which can be provided by it because of its continual surprises and pleasures which not only challenge the listener but bless him with sounds that few could conceive or conjure. I am continually in awe of the direction and scope of this band and this set of musicians who continue to broaden the horizon of music and what we view it as. 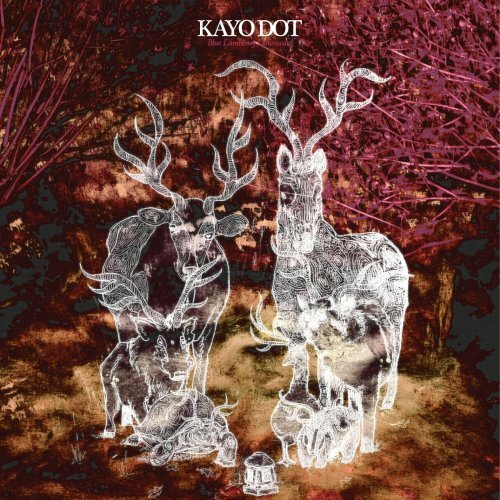 This would also serve as the most accessible Kayo Dot album from a non-metallic standpoint, as far as most traces from Maudlin of the Well are completely gone, but to say it is accessible is almost laughable, for this album is truly only for those with the most open and specific of musical taste. Still, an absolute masterpiece has been constructed.